It’s nearly that time of year, again! 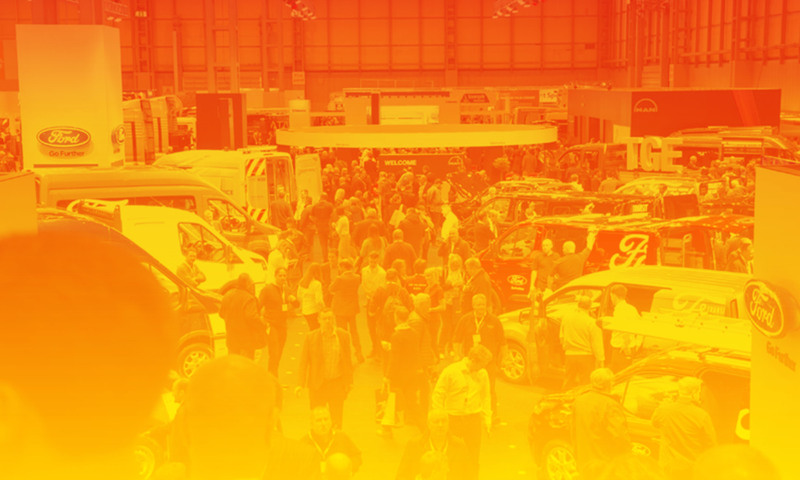 This year’s Commercial Vehicle Show, a mainstay of the UK automotive calendar, presents the ideal opportunity for us to showcase our newest solutions to the market. 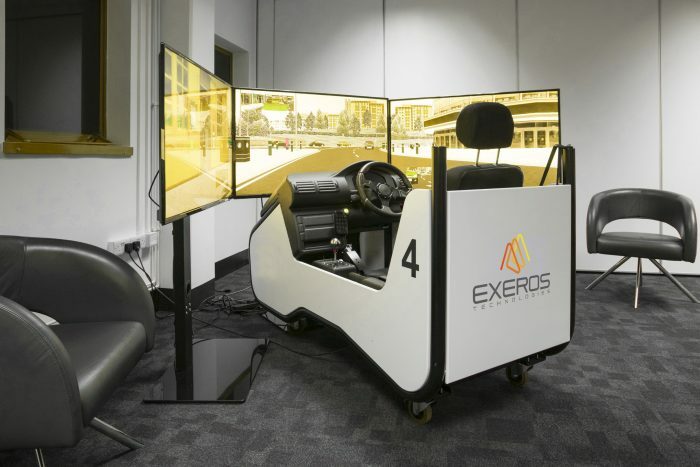 Conveniently located in Hall 4, Stand 4A14, Exeros Technologies will command a larger presence than in previous years; boasting an interactive new stand purposely designed to demonstrate the power and capability of our fleet safety technology. 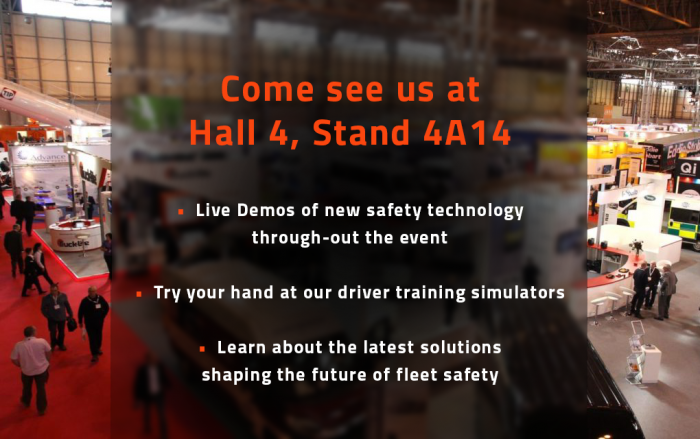 This year’s show will see us introduce our Smart Visibility offering for all-around fleet safety. With deep experience in the sector, we have combined the best in camera-based devices with our powerful Vidematics software platform for a fully-connected view of events in the field with all the reporting and audit functionality you require. Unrestricted visibility with a 360 degree top-down view around any vehicle or machinery. On-demand access to evidence data for fastest possible response time and full accountability. Trend analysis with fleet performance reporting and analytics by vehicle and individual. Driver Assistance and fatigue management for the prevention of avoidable road incidents caused by human error and tiredness. We are also debuting our brand-new virtual reality and simulation-based driver training – the perfect compliment to our fleet operator offering. Current regulatory schemes place the onus on operators to provide training and professional development courses for drivers. Through the use of driver profiling and the monitoring of driving behaviour, we are able to provide recommendations for individuals and groups. Training modules are highly customisable and come in a range of virtual reality or full-scale vehicle replica simulators. Register your interest here for Driver training. Although our focus is on fleet risk management and transport safety, we equally push for innovation beyond the confines of the cab. Intrigued? Pop around to our stand on any day of the CV Show 2019 where we will be holding regular demos of our newest camera-based software for seeing through fog and inclement weather. Our SeeTrue anti-fog algorithm represents a breakthrough in imaging technology and we are keen to showcase just how significantly improved results are when compared to the more costly LIDAR and Radar alternatives, making it a realistic option for autonomous vehicle safety and transport safety in general. With all the new technology on view at the Commercial Vehicle Show this year, we are eager to welcome existing customers and anyone with an interest in smarter visibility for road safety to come along and try our solutions for themselves. As we always say, it’s safest to see for yourself!